Our clients were looking to increase their property investment portfolio – and this property offers a combination of qualities to attract tenants, and provide good capital growth. 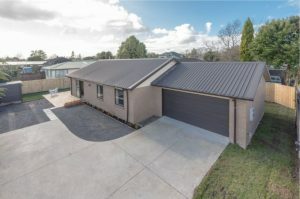 Situated on a full site in a popular northern Hamilton suburb, the north west facing living zone offers good sun potential, and the easy-care section is well suited for tenancy. Built in 2008 this is low maintenance property of relatively new construction – which translates to lower maintenance costs. Attractive to tenants due to the cul-de-sac location on a rear site offering privacy while still enjoying close proximity to parks, shopping centre, schools, bus routes and connecting routes to the city. ← The Labour Factor – what will the impact be on property prices in New Zealand?